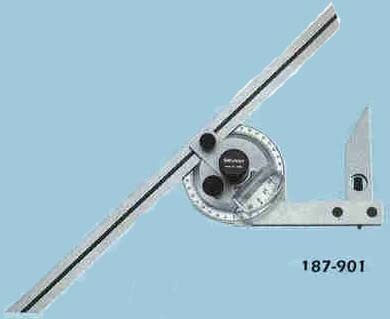 Universal Bevel Protractor Series 187. Can be attached to the height gauge. High-precision angle gage for accurate angle measurement of machines, molds, and jigs. Authorized distributors / dealers for "Aku" brand Miscellaneous that including universal bevel protractor bevel protractor Digimatic bevel protractor in India.